"It was exciting to have a location where I could offer services and products to customers and interact with them on a daily basis - more than I was able to do in my old position," he said. "I've enjoyed it." Finding his niche in this industry has compelled him to go further to start his own business, something he's talked about for years with others who have made this leap. He's finally taking his turn and has opened his new Premier Rental-Purchase franchise in San Antonio. Roy gives RAC credit for a great start in RTO and the opportunity to develop new skills and an understanding of operations. During his 18 years with them, he held a variety of positions all of which have prepared him to branch out on his own as an entrepreneur. Roy began working in San Antonio for Thorn International Rentals - then the London-based owner of RAC. Within three months of employment, he had tapped his managerial skills developed at Mead Johnson and opened a store for Thorn. "We were just beginning a new brand. RAC wanted to introduce Thorn International Rentals in the U.S. to offer customers a different option," he said. "We wanted to own the competition and were looking to saturate the market with our presence." From the very beginning with that first store, Roy demonstrated success. With sales savvy and strong people skills, he took the store to the top. He achieved national sales awards for meeting and exceeding expectations and moved up the corporate ladder, enjoying the company's growth mode and becoming a multi-unit manager for them. He opened numerous stores in the Southwest region during his RAC days. "I was part of their growth," he says, recounting how RAC not only opened stores but also acquired Remco, which later absorbed Thorn International rental stores. Roy accepted an offer to manage for RAC under the Remco brand in Buffalo, NY. Far from his native Texas, he moved his family there, and for the next three years had an amazing experience. "It's an incredible place," he says fondly. "We had the time of our lives up there." But when the opportunity arose to come back to San Antonio and be closer to family, it made sense. For the next several years Roy managed multi-units across a large geographic territory in Texas that included Texas/Mexican border locations. As he developed his expertise as an operator, he also enjoyed training and developing people. "Many individuals were trained in my stores," he says with a smile, again coming back to his love for working with people. "That's the feel good stuff." Roy stayed with RAC until last fall when he decided it was time to get started on a plan of business ownership he'd made with two colleagues. 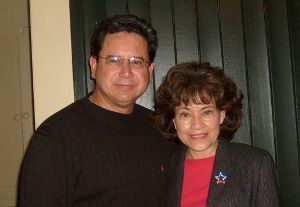 Trini Rubio and Brian Clussman had at different times worked for Roy. Trini operated a store, and Brian was the assistant manager at Roy's very first store. "We go way back," says Roy. "We had talked about starting our own businesses over the years. We discussed how we kept opening up stores for RAC and making them profitable as well as training everyone around us. We started to wonder why we didn't do it for ourselves!" So they decided they would. Trini was the first to put that plan into play. He opened a Premier store in San Antonio in November 2005. Brian followed the same month in 2006, partnering with Trini in a second San Antonio location. And now Roy has followed. With designs to build their businesses through opening more stores, they are also exploring ways to capitalize on the RTO market through offering cash services. Brian is testing those waters at his store by offering Premier U-Getcha Cash Services. Before any of them opened, however, they researched available options to help them get into business quickly and found Premier Rental-Purchase to be the best choice. "We could have achieved this without Premier, but they made it easier. We are operators. For us, the administrative support aspect of this business had always been left up to someone else. We find it helpful to leave some of it up to Premier now - like payroll, human resources, national associations and some relationships with vendors. Premier is set up to do that and make it less stressful, reducing distractions from operations. Because they provide these services, we can focus on the things we do best, and the likelihood of our success is greater. Premier has provided us with an easier entry into the entrepreneurial experience and supportive programs to help us grow." Roy also points to Premier's flexibility. Dealers can take or leave the services Premier offers according to the company philosophy that each dealer owns and runs his business the way that works for him or her. Premier stands ready to offer what is most helpful, including access to its other companies. There are four beside rental-purchase that include cash services, home furnishings, wheel rentals and auto leasing, should a dealer choose to offer them. As someone who is all about customer service, Roy feels he can provide even better options and assistance as a Premier franchisee. He's watched Trini and Brian and other Premier dealers do it, and now he's ready. Team members who care, competitive pricing, quality products and superior service are what he's hanging his hat on.